PAT testing is done to ensure that all electrical equipment that is classified as 'portable' is deemed safe for use. The law says that any competent person can perform it by using a PAT instrument or tester. The visual examination of each appliance, in addition to the actual PAT test, should be performed only by someone who is deemed competent. It is imperative that employers, landlords and self-employed individuals follow the rules to ensure that their workplaces are safe. Testing can be done by any number of PAT testing companies, or individuals can obtain certification to perform their own testing by successfully completing coursework in this field. PAT testing is required by employers, landlords and self-employed to ensure safety of portable appliances. The Health & Safety Executive provides no set rule on PAT testing frequency, only that testing should be done regularly to ensure preventative maintenance. This is because different situations call for different measures. There are a number of factors that affect PAT testing frequency and it is up to each individual to determine when testing should be carried out. Offices, Shops and Hotels - Class 1 equipment including stationary and IT equipment should be tested every 48 months. Moveable equipment such as extension leads and portable equipment should be tested every 24 months. Handheld equipment should be tested every 12 months. Our aim is to offer a reliable and professional service which is also competitively priced. We may not be the cheapest PAT Testing company in the area (we are certainly not the most expensive) but we are confident that with our high levels of customer service, our free repairs and helpful and friendly engineers you will not be disappointed. We base our prices on the number of items that you need to have tested: the more items you have, the cheaper the item price becomes. We do have a £50.00 minimum call out charge. 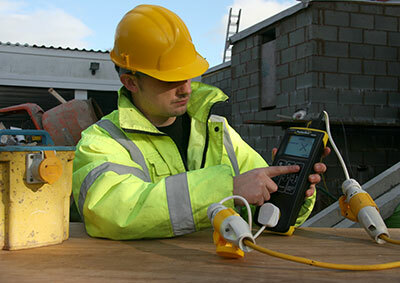 To get a quotation for us to carry out PAT Testing at your site simply call us on 0800 955 6202. 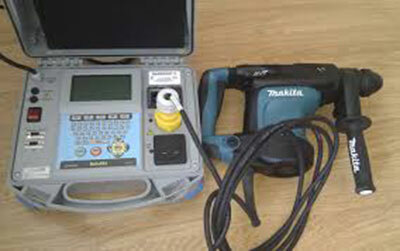 Following any repair that we carry out, we will re-test the item to ensure that it is safe to use. Our free repairs really are popular, with our engineer spending some time fixing items that otherwise would have failed, so you can keep using it. The most common faults that we find are with plugs, and our engineers carry a range of replacements with them so that the plug can be changed on site.